An old building like my studio is hard to heat, even without this week’s sub-zero temperatures. But it will be a few more days before I’m ready to unplug the furnace and work in the basement until spring. 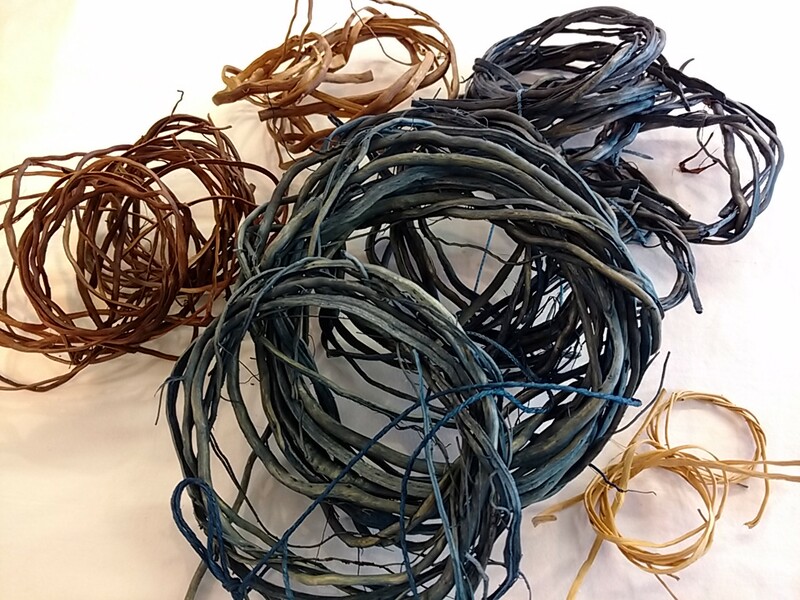 One of those experiments is dyeing spruce root for basketry. My friend Karen Tembreull gave me some split roots to play with. I think the indigo-dyed roots need a few more dips, which I’m happy to have drip on the studio floor but would feel a need to mop up in the house. 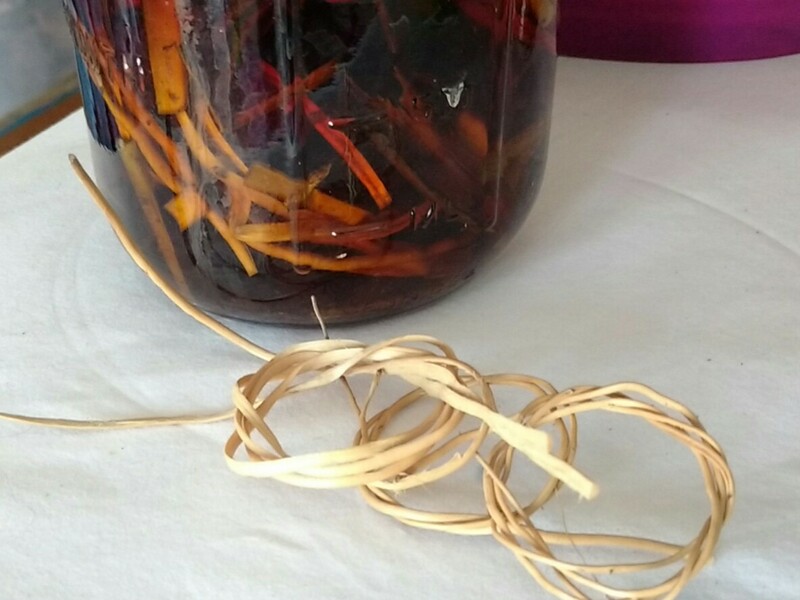 I also sampled two ways of using willow bark dye on the roots. A couple of coils were simmered in the dye. But I think I prefer the ones I dyed without heat in an alkaline extraction. And it’s so simple to add water and soda ash to bark and roots and just let it sit for a couple of weeks. I have another willow bark dye experiment in progress on wool fabric. It’s been resting in the crock pot since before Christmas, and needs to be steamed. Then it will be time to empty jars and pots and anything else that shouldn’t freeze and head to Washington for the Northwest Basket Guild’s Weave In Winter retreat.